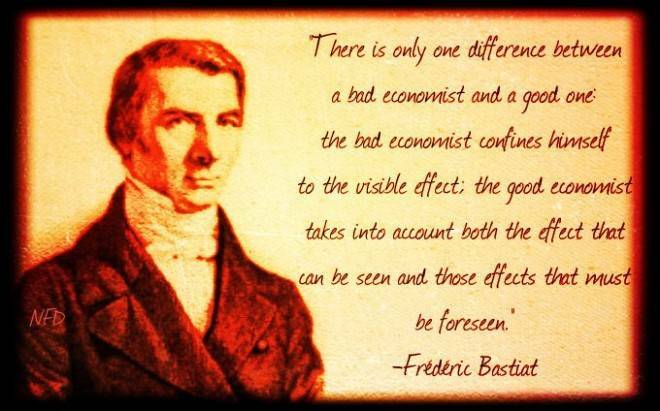 I’ve periodically cited the great 19th-century French economist, Frederic Bastiat, for his very wise words about the importance of looking at both the seen and the unseen when analyzing public policy. Those that fail to consider secondary or indirect effects of government, such as Paul Krugman, are guilty of the “broken window” fallacy. There are several examples we can cite. A sloppy person, for instance, will think a higher minimum wage is good because workers will have more income. But a thoughtful analyst will think of the unintended consequence of lost jobs for low-skilled workers. An unthinking person will conclude that government spending is good for growth because the recipients of redistribution have money to spend. But a wiser analyst will understand that such outlays divert money from the economy’s productive sector. A careless person will applaud when government “creates” jobs. Sober-minded analysts, though, will wonder about the private jobs destroyed by such policies. It’s time, though, to give some attention to another important contribution from Bastiat. He also deserves credit for the pithy and accurate observation about government basically being a racket or a scam. And what’s really amazing is that he reached that conclusion in the mid-1800s when the burden of government spending – even in France – was only about 10 percent of economic output. So Bastiat was largely limited to examples of corrupt regulatory arrangements and protectionist trade policy. One can only imagine what he would think if he could see today’s bloated welfare states and the various ingenious ways politicians and interest groups have concocted to line their pockets with other people’s money! Which brings us to today’s topic. We’re going to look at venal, corrupt, wasteful, incompetent, and bullying government at the federal, state, and local level in America. We’ll start with the clowns in Washington, DC. Remember when the unveiling of the Obamacare turned into a cluster-you-know-what of historic proportions? Well, the Daily Caller reports that the IRS has just signed an Obamacare-related contract with an insider company that recently became famous for completely botching its previous Obamacare-related contract. Seven months after federal officials fired CGI Federal for its botched work on Obamacare website Healthcare.gov, the IRS awarded the same company a $4.5 million IT contract for its new Obamacare tax program. …IRS officials signed a new contract with CGI to provide “critical functions” and “management support” for its Obamacare tax program, according to the Federal Procurement Data System, a federal government procurement database. The IRS contract is worth $4.46 million, according to the FPDS data. 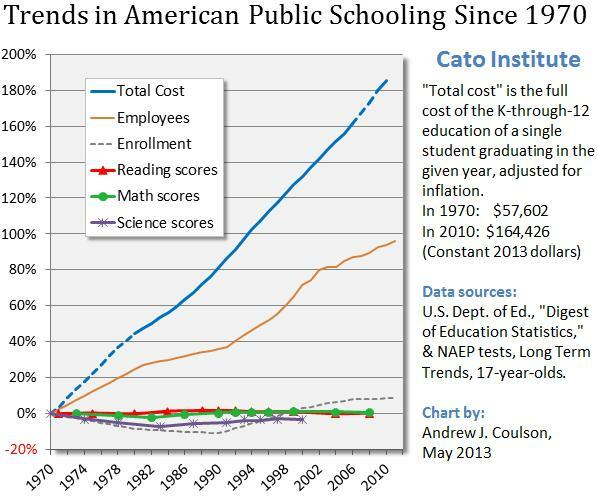 Just one more piece of evidence that Washington is a town where failure gets rewarded. And CGI is an expert on failure. A joint Senate Finance and Judiciary Committee staff report in June 2014 found that Turning Point Global Solutions, hired by HHS to review CGI’s performance on Healthcare.gov, reported they found 21,000 lines of defective software code inserted by CGI. Scott Amey, the general counsel for the non-profit Project on Government Oversight, which reviews government contracting, examined the IRS contract with CGI. “CGI was the poster child for government failure,” he told The Daily Caller. “I am shocked that the IRS has turned around and is using them for Obamacare IT work.” Washington was not the only city that has been fed up with CGI on healthcare. Last year, CGI was fired by the liberal states of Vermont and Massachusetts for failing to deliver on their Obamacare websites. The Obamacare health website in Massachusetts never worked, despite the state paying $170 million to CGI. For a company like this to stay in business, you have to wonder how many bribes, pay-offs, and campaign contributions are involved. Now let’s look at an example of state government in action. Kim Strassel of the Wall Street Journal has a column about a blatantly corrupt deal between slip-and-fall lawyers and the second most powerful Democrat in the Empire State. A logical person might ask “on leave” from what? After all, he didn’t do anything. But he did do something, even if it was corrupt and sleazy. …here’s the revealing bit. Queried by prosecutors as to what exactly the firm did hire Mr. Silver to do—since he performed no legal work—Weitz & Luxenberg admitted that he was brought on “because of his official position and stature.” In other words, this was transactional. Weitz & Luxenberg gave Mr. Silver a plum job, and Mr. Silver looked out for the firm—namely by blocking any Albany bills that might interfere with its business model. So workers, consumers, and businesses get screwed by a malfunctioning tort system, while insider lawyers and politicians get rich. Isn’t government wonderful! Just one example among many of how state governments are a scam. Perhaps now folks will understand why I’m not very sympathetic to the notion of letting them take more of our money. Last but not least, let’s look at a great moment in local government. As we see from a report in USA Today, a village in New Jersey is dealing with the scourge of…gasp…unlicensed snow removal! Matt Molinari and Eric Schnepf, both 18, also learned a valuable lesson about one of the costs of doing business: government regulations. The two friends were canvasing a neighborhood near this borough’s border with Bridgewater early Monday evening, handing out fliers promoting their service, when they were pulled over by police and told to stop. …Bound Brook, like many municipalities in the state and country, has a law against unlicensed solicitors and peddlers. … anyone selling goods and services door to door must apply for a license that can cost as much as $450 for permission that is valid for only 180 days. …Similar bans around the country have put the kibosh on other capitalist rites of passage, such as lemonade stands and selling Girl Scouts cookies. Though, to be fair, it doesn’t seem like the cops were being complete jerks. But the bottom line is that it says something bad about our society that we have rules that hinder teenagers from hustling for some money after a snowstorm. Just like these other examples of local government in action also don’t reflect well on our nation. Which is why this poster is a painfully accurate summary of government. Back in the 1980s and 1990s, there was a widespread consensus that high tax rates were economically misguided. Many Democrats, for instance, supported the 1986 Tax Reform Act that lowered the top tax rate from 50 percent to 28 percent (albeit offset by increased double taxation and more punitive depreciation rules). And even in the 1990s, many on the left at least paid lip service to the notion that lower tax rates were better for prosperity than higher tax rates. Perhaps that’s because the overwhelming evidence of lower tax rates on the rich leading to higher revenue was fresh in their minds. The modern left, however, seems completely fixated on class-warfare tax policy. Some of them want higher tax rates even if the government doesn’t collect more revenue! 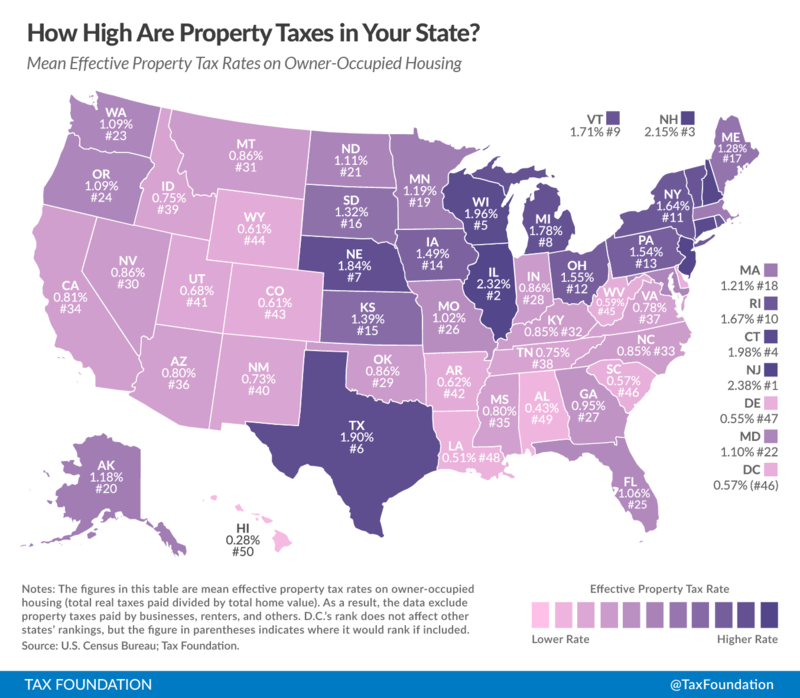 I’ve already shared a bunch of data and evidence on the importance of low tax rates. A review of the academic evidence by the Tax Foundation found overwhelming support for the notion that lower tax rates are good for growth. An economist from Cornell found lower tax rates boost GDP. Other economists found lower tax rates boost job creation, savings, and output. Even economists at the Paris-based OECD have determined that high tax rates undermine economic performance. Today, we’re going to augment this list with some fresh and powerful evidence. Lots of new evidence. So grab a cup of coffee. The New York Times, for instance, is noticing that high taxes drive away productive people. At least in France. Here are some excerpts from a remarkable story. A year earlier, Mr. Santacruz, who has two degrees in finance, was living in Paris near the Place de la Madeleine, working in a boutique finance firm. He had taken that job after his attempt to start a business in Marseille foundered under a pile of government regulations and a seemingly endless parade of taxes. The episode left him wary of starting any new projects in France. Yet he still hungered to be his own boss. He decided that he would try again. Just not in his own country. What pushed him over the edge? Taxes, taxes, and more taxes. …he returned to France to work with a friend’s father to open dental clinics in Marseille. “But the French administration turned it into a herculean effort,” he said. A one-month wait for a license turned into three months, then six. They tried simplifying the corporate structure but were stymied by regulatory hurdles. Hiring was delayed, partly because of social taxes that companies pay on salaries. In France, the share of nonwage costs for employers to fund unemployment benefits, education, health care and pensions is more than 33 percent. In Britain, it is around 20 percent. “Every week, more tax letters would come,” Mr. Santacruz recalled. Monsieur Santacruz has lots of company. But it’s not just young entrepreneurs. It’s also those who already have achieved some level of success. Let’s now check out another story, this time from the pages of the UK-based Daily Mail. We have some more news from France, where another successful French entrepreneur is escaping Monsieur Hollande’s 75 percent tax rate. François-Henri Pinault, France’s third richest man, is relocating his family to London. Pinault, the chief executive of Kering, a luxury goods group, has an estimated fortune of £9 billion. The capital has recently become a popular destination for wealthy French, who are seeking to avoid a 75 per cent supertax introduced by increasingly unpopular Socialist President François Hollande. …It has been claimed that London has become the sixth largest ‘French city’ in the world, with more than 300,000 French people living there. But it’s not just England. Other high-income French citizens, such as Gerard Depardieu and Bernard Arnault, are escaping to Belgium (which is an absurdly statist nation, but at least doesn’t impose a capital gains tax). But let’s get back to the story. The billionaire’s actress wife, perhaps having learned from all the opprobrium heaped on Phil Mickelson when he said he might leave California after voters foolishly voted for a class-warfare tax hike, is pretending that taxes are not a motivating factor. But despite the recent exodus of millionaires from France, Ms Hayek insisted that her family were moving to London for career reasons and not for tax purposes. …Speaking about the move in an interview with The Times Magazine, the actress said: ‘I want to clarify, it’s not for tax purposes. We are still paying taxes here in France. ‘We think that London has a lot more to offer than just a better tax situation. And if you believe that, I have a bridge in Brooklyn that I’m willing to sell for a very good price. Speaking of New York bridges, let’s go to the other side of Manhattan and cross into New Jersey. It seems that class-warfare tax policy isn’t working any better in the Garden State than it is in France. Here are some passages from a story in the Washington Free Beacon. New Jersey’s high taxes may be costing the state billions of dollars a year in lost revenue as high-earning residents flee, according to a recent study. The study, Exodus on the Parkway, was completed by Regent Atlantic last year… The study shows the state has been steadily losing high-net-worth residents since 2004, when Democratic Gov. Jim McGreevey signed the millionaire’s tax into law. The law raised the state income tax 41 percent on those earning $500,000 or more a year. “The inception of this tax, coupled with New Jersey’s already high property and estate taxes, leaves no mystery about why the term ‘tax migration’ has become a buzzword among state residents and financial, legal, and political professionals,” the study, conducted by Regent states. …tax hikes are driving residents to states with lower tax rates: In 2010 alone, New Jersey lost taxable income of $5.5 billion because residents changed their state of domicile. No wonder people are moving. New Jersey is one of the most over-taxed jurisdictions in America – and it has a dismal long-run outlook. And when they move, they take lots of money with them. “The sad reality is our residents are suffering because politicians talk a good game, but no one is willing to step up to the plate,” Americans for Prosperity New Jersey state director Daryn Iwicki said. The “oppressive tax climate is driving people out.” …One certified public accountant quoted in the study said he lost 95 percent of his high net worth clients. Other tax attorneys report similar results. …Michael Grohman, a tax attorney with Duane Morris, LLP, claimed his wealthy clients are “leaving [New Jersey] as fast as they can.” …If the current trend is not reversed, the consequences could be dire. “Essentially, we’ll find ourselves much like the city of Detroit, broke and without jobs,” Iwicki said. By the way, make sure you don’t die in New Jersey. The one bit of good news, for what it’s worth, is that Governor Christie is trying to keep matters from moving further in the wrong direction. Here’s another interesting bit of evidence. The Wall Street Journal asked the folks at Allied Van Lines where wealthy people are moving. Here’s some of the report on that research. Spread Sheet asked Allied to determine where wealthy households were moving, based on heavy-weight, high-value moves. According to the data, Texas saw the largest influx of well-heeled households moving into the state last year, consistent with move trends overall. South Carolina and Florida also posted net gains. On the flip side, Illinois and Pennsylvania saw more high-value households move out of state than in, according to the data. California saw the biggest net loss of heavy-weight moves. Last year, California had a net loss of 49,259 people to other states, according to the U.S. Census. …Texas had the highest net gain in terms of domestic migration—113,528 more people moved into the state than out last year, census data show. Job opportunities are home-buyers’ top reason for relocating to Texas, according to a Redfin survey last month of 1,909 customers and website users. The upshot is that Texas has thumped California, which echoes what I’ve been saying for years. One can only imagine what will happen over the next few years given the punitive impact of the higher tax rate imposed on the “rich” by spiteful California voters. If I haven’t totally exhausted your interest in this topic, let’s close by reviewing some of the research included in John Hood’s recent article in Reason. Over the past three decades, America’s state and local governments have experienced a large and underappreciated divergence. …Some political scientists call it the Big Sort. …Think of it as a vast natural experiment in economic policy. Because states have a lot otherwise in common-cultural values, economic integration, the institutions and actions of the federal government-testing the effects of different economic policies within America can be easier than testing them across countries. …And scholars have been studying the results. …t present our database contains 528 articles published between 1992 and 2013. On balance, their findings offer strong empirical support for the idea that limited government is good for economic progress. And what do these studies say? Of the 112 academic studies we found on overall state or local tax burdens, for example, 72 of them-64 percent-showed a negative association with economic performance. Only two studies linked higher overall tax burdens with stronger growth, while the rest yielded mixed or statistically insignificant findings. …There was a negative association between economic growth and higher personal income taxes in 67 percent of the studies. The proportion rose to 74 percent for higher marginal tax rates or tax code progressivity, and 69 percent for higher business or corporate taxes. Here are some of the specific findings in the academic research. By the way, even though this post is about tax policy, I can’t resist sharing some of Hood’s analysis of the impact of government spending. Of the 43 studies testing the relationship between total state or local spending and economic growth, only five concluded that it was positive. Sixteen studies found that higher state spending was associated with weaker economic growth; the other 22 were inconclusive. …a few Keynesian bitter-enders insist that transfer programs such as Medicaid boost the economy via multiplier effects… Nearly three-quarters of the relevant studies found that welfare, health care subsidies, and other transfer spending are bad for economic growth. And as I’ve repeatedly noted, it’s important to have good policy in all regards. And Hood shares some important data showing that laissez-faire states out-perform their neighbors. …economists Lauren Heller and Frank Stephenson of Berry College used the Fraser Institute’s Economic Freedom of North America index to explore state economic growth from 1981 to 2009. They found that if a state adopted fiscal and regulatory policies sufficient to improve its economic freedom score by one point, it could expect unemployment to drop by 1.3 percentage points and labor-force participation to rise by 1.9 percentage points by the end of the period studied. If you’ve made it this far, you deserve a reward. We have some amusing cartoons on class-warfare tax policy here, here, here, here, here, here, and here. And here’s a funny bit from Penn and Teller on class warfare. P.S. Higher tax rates also encourage corruption. If you’re a libertarian, you generally don’t act and think like other people. Most folks, when they heard about Governor Christie’s bridge-closing scandal, focused on the potential political ramifications. But not me. My immediate reaction was to think that the problem could have been avoided if the bridge and its various entry points were privately owned. Sort of like the Ambassador Bridge between Canada and Michigan, which is the busiest border crossing in North America. Or the Progreso International Bridge, a major transportation link between Mexico and Texas. If the George Washington Bridge also had private owners, they would want to maximize the flow of traffic, not arbitrarily close lanes for petty political purposes. So while others may speculate about Chris Christie and the 2016 presidential race, I daydreamed about how privatized bridges would improve transportation (just as I couldn’t stop myself from pontificating about private fire departments when sharing some libertarian humor). All that being said, I’m digressing before I even get started. The purpose of today’s column is to focus on the real scandal in New Jersey. New research from the Mercatus Center looks at cash solvency, budget solvency, long-run solvency, and service-level solvency to show which states are fiscally responsible and which states face serious long-run problems. And while Chris Christie may have taken a few steps to rein in excessive compensation for state bureaucrats (causing me to become giddy with infatuation), he still has a long way to go because the Garden State is in last place in this comprehensive new ranking of fiscal responsibility. And that means New Jersey is even behind fiscal hell holes such as California, New York, and Illinois. Here are the key takeaways from the study, which ranks all 50 states. This paper contributes to that stream of research by applying models of fiscal condition to create indices measuring cash, budget, long-run, and service-level solvency as well as overall fiscal condition at the state level. It also discusses the relative strengths and weaknesses of each solvency index and provides a ranking — based on these indices and using fiscal year 2012 data — of the 50 US states. …Table 9…shows the state rankings based on fiscal condition with all four dimensions taken into account. …the states at the bottom are there due to years of poor financial management decisions, bad economic conditions, or a combination of both. New Jersey and Illinois face similar problems of tax revenues that have not kept up with expenditures, use of budget practices that only appeared to balance their annual budgets, and significant debt levels as a result of decades of using bonds without being able to pay for them. In addition, both states have underfunded their pension systems, resulting in billions in unfunded liabilities. Now let’s take a look at the main chart from the study, showing the ranking for all 50 states. 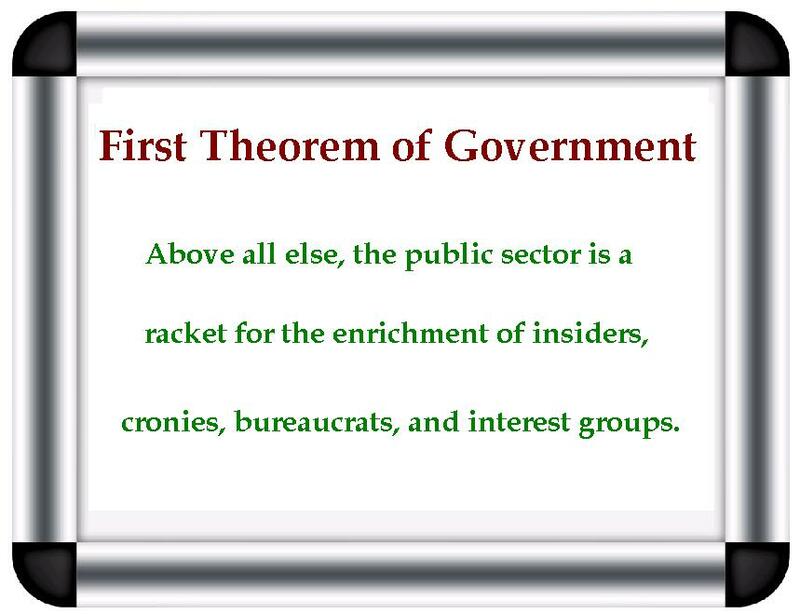 And I want to focus on the bottom 10, which are a rogue’s gallery of big-government basket cases. New Jersey, as already noted, is in last place, but the next-worst state is Connecticut, which has become a fiscal mess ever since making the horrible mistake of adopting an income tax more than two decades ago. Illinois is in 48th place, which is not surprising since the state is infamous for tax-and-spend fiscal policy. Massachusetts is number 47, making it the fourth-worst state…just as it is the fourth-worst state in the Tax Freedom Day rankings. 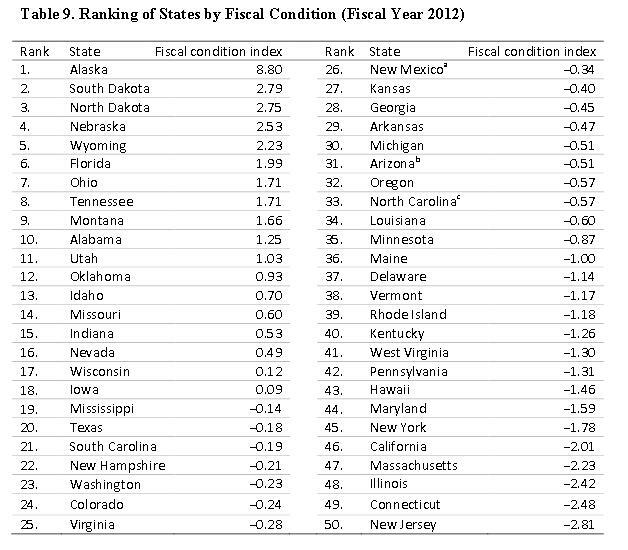 California is number 46, and I was surprised (given Jerry Brown’s attempts to drive successful people from the state) to read in the study that its fiscal condition actually has gotten better in recent years. And no rating of fiscal irresponsibility is complete without New York, which is in 45th place. Indeed, you’ll notice that there’s a good bit of overlap between the states at the bottom of the Mercatus study and the “death spiral” states that I shared last year. No wonder taxpayers are fleeing these oppressive jurisdictions. Likewise, you’ll see that there’s also overlap between the highest-ranking states and the states that have avoided the mistake of imposing an income tax. 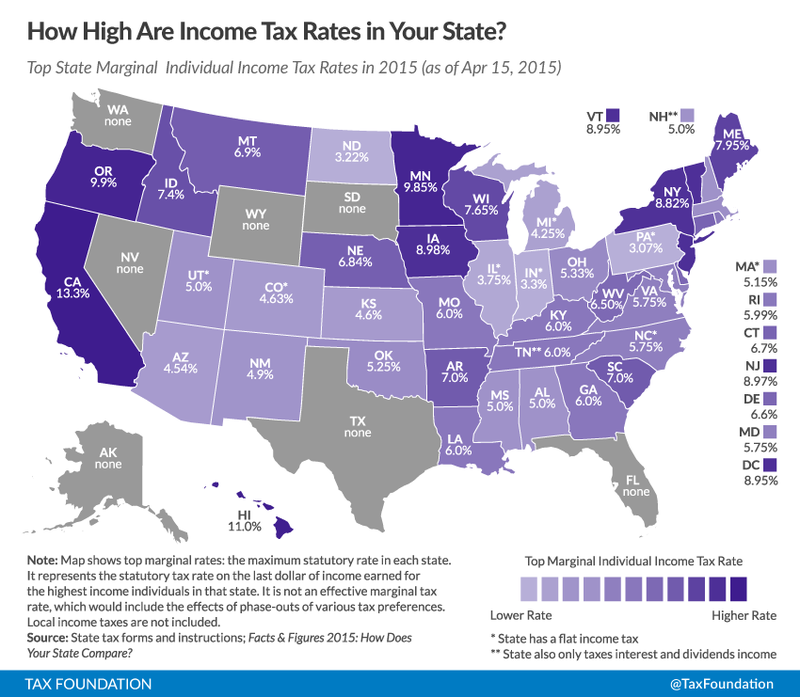 And since we’re on the topic of top-ranked states, it is worth noting that five of the top 10 don’t have an income tax, but we should issue a caveat. Both Alaska and Wyoming have a lot of natural resources, so politicians in those states have lots of revenue to spend. Indeed, too much if we believe these numbers showing state debt in Alaska. And the same is true for North Dakota, which makes the mistake of maintaining an income tax while also collecting a flood of severance tax revenue. P.S. If you want to further explore state fiscal performance, here are four additional rankings. The state business tax climate index. State spending growth between 2001-2011. A comprehensive measure of overall freedom by state. The famous “moocher index” of state dependency ratios. P.P.S. I have a confession to make. I’m currently on vacation in Nevis with the PotL. Sounds like an idyllic (albeit very temporary) lifestyle, particularly since it’s cold back in Washington. But every night has been a battle because I can’t figure out how to operate the bloody thermostat. 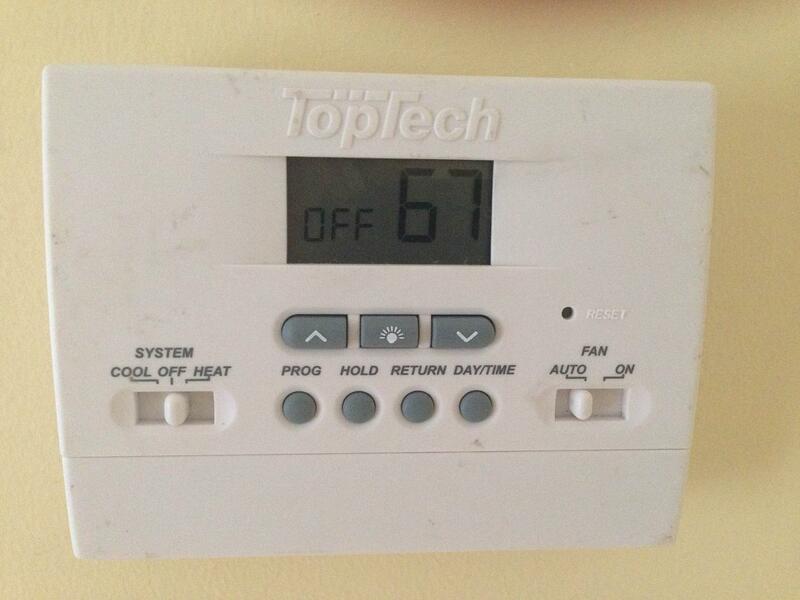 It’s automatically set for 64 degrees, which is far too cold for my tastes, but I don’t know how to change the temperature. It’s a digital device and when I move the temperature up or down, the word “set” starts blinking on the screen, but with no indication of how to actually implement that command. So I have to get up in the middle of the night and turn the device to “on” or “off” depending on whether I’m too cold or too hot. You may be asking yourself why I don’t inquire with the hotel staff, but that’s not an option. A friend on the island arranged for me to rent a private condo, so there’s nobody I can contact. Sort of reminds me of the time in Slovakia when I couldn’t figure out how to operate a shower, or the time in Switzerland when I was baffled by a toilet. And if I can’t figure out how to operate household fixtures, how on earth will I ever figure out how to shrink the size and scope of the federal government. The Amazing Adventures of Super Bureaucrat! Look, up in the sky! It’s a bird, it’s a plane…no it’s Super Bureaucrat! Actually, look to New Jersey, because you’re going to see a taxpayer ripoff that will get your blood boiling. Depending on your perspective, this may be worse that the toll collector on the New Jersey Turnpike who pocketed more than $300,000 in a single year. Because today’s super bureaucrat isn’t getting overpaid for one job. He’s getting overpaid for six jobs! Here are some excerpts from a local news report in New Jersey (h/t: Reason). Patrick DeBlasio was hired Wednesday as Highlands’ chief financial officer — his sixth concurrent public job and ranking him among the highest-paid public employees in New Jersey. Highlands will pay DeBlasio a $40,000 annual salary on a part-time basis… DeBlasio will not have to work a minimum number of hours, said Administrator Tim Hill, or be required to go into the office. Maybe one day I can get one of these $40,000 no-show jobs that don’t require any work. But I don’t know if I could juggle several of them, and this is what makes DeBlasio special. DeBlasio has a full-time job as Carteret’s CFO and part-time gigs in Keansburg, North Plainfield and the Carteret School District, the report said. He is also currently Highland’s tax collector. It’s rather convenient that he also serves as a tax collector since it takes a lot of money to finance all his government salaries. In 2012, DeBlasio’s annual compensation totaled $244,606, more than Gov. Chris Christie or state Treasurer Andrew P. Sidamon-Eristoff, who earn $175,000 and $141,000, respectively. As the old saying goes, nice work if you can get it. Maybe it’s time to start a Bureaucrat Hall of Fame, sort of like our Moocher Hall of Fame. In addition to Mr. DeBlasio (and the toll collector mentioned above), charter members could include the following. A transit bureaucrat from California who got $330,000 without doing a day of work. Cops in Oakland getting average compensation of $188,000. A school superintendent in New York raking in more than $500 thousand of annual compensation. A California government official raking in $822,000 of taxpayer-financed loot in just one year. A Philadelphia bureaucrat, after working only 2-1/2 years, nailing down a guaranteed pension of $50,000 per year. A New York school bureaucrat simultaneously getting a $225,000 salary and $300,000 pension. 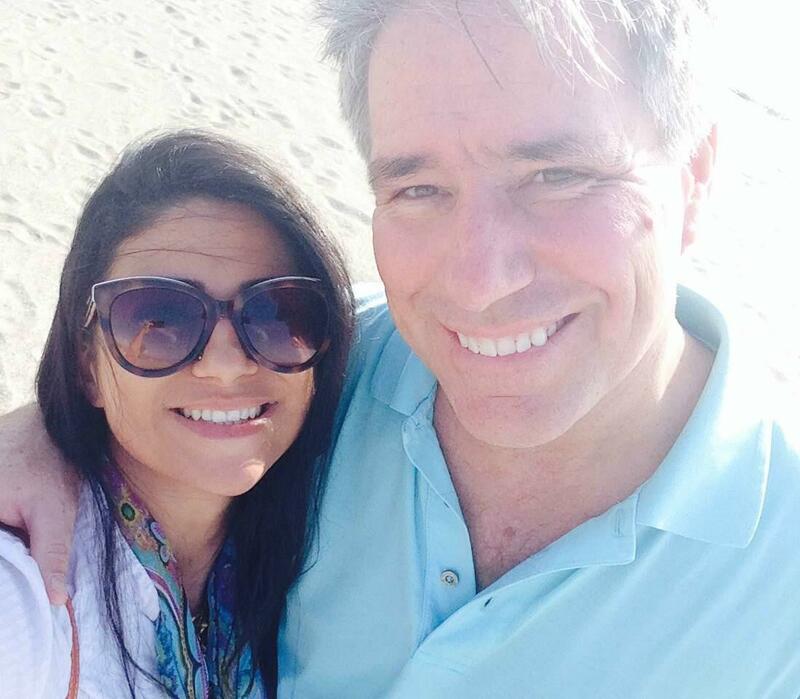 California taxpayers being forced to pay a fired bureaucrat $550,000 for unused vacation time. When you read these stories, it’s easy to understand why so many states are in fiscal trouble. And it also makes sense that state and local bureaucrats are far less likely to quit their jobs than folks in the productive sector of the economy. After all, how many people leave positions when they’re being overpaid? But don’t forget that federal bureaucrats enjoy an even bigger pay advantage over private sector workers. Indeed, my Cato colleague Chris Edwards reports that they get twice as much average compensation as the serfs in the productive sector of the economy who pay their bills. This video has the unhappy details. P.S. Super Bureaucrat joins a list of other “super heroes,” including Government Man, and also two caped crusaders inspired by President Obama. Thanks to Michael Ramirez, we have “Stupor Man.” And there’s also Super-President-Constitutional-Law-Professor. P.P.S. Is there some hidden strand of DNA that causes people named de Blasio to be burdens to taxpayers? P.P.P.S. Shifting gears, remember our story about ten days ago featuring the little kid who was suspended from school for firing an imaginary bow and arrow? Well, we have another example showing that government schools could be considered a form of child abuse. A 5-year-old boy was reportedly suspended from school after making a gun gesture with his hand on the playground. His father, David Hendrix, was furious when he found out his son was issued a suspension for the gesture. “He was playing army on the playground,” Hendrix told WBTV. 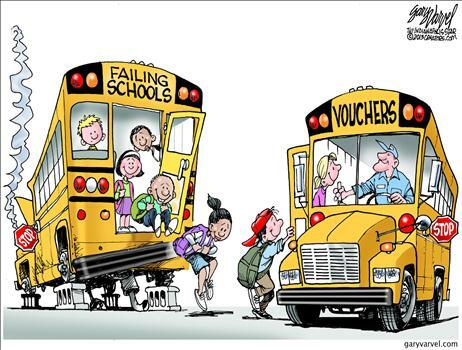 Yet another argument for school choice. Never let it be said I back down from a fight, even when it’s the other team’s game, played by the other team’s rules, and for the benefit of the wrong person. I’m not a Romney fan, and it irks me to defend good tax policy on behalf of someone who is incapable and/or unwilling to make the same principled arguments. But my job is to do the right thing and bring truth to the economic heathens, so I agreed to participate. And I’m glad I did, because it gave me a chance to try out a new argument that I hope will educate more people about the perverse impact of double taxation. Let me know what you think of this approach, which asks people whether they would think it would be fair if they couldn’t take credit for withheld taxes when filling out their 1040 tax return. 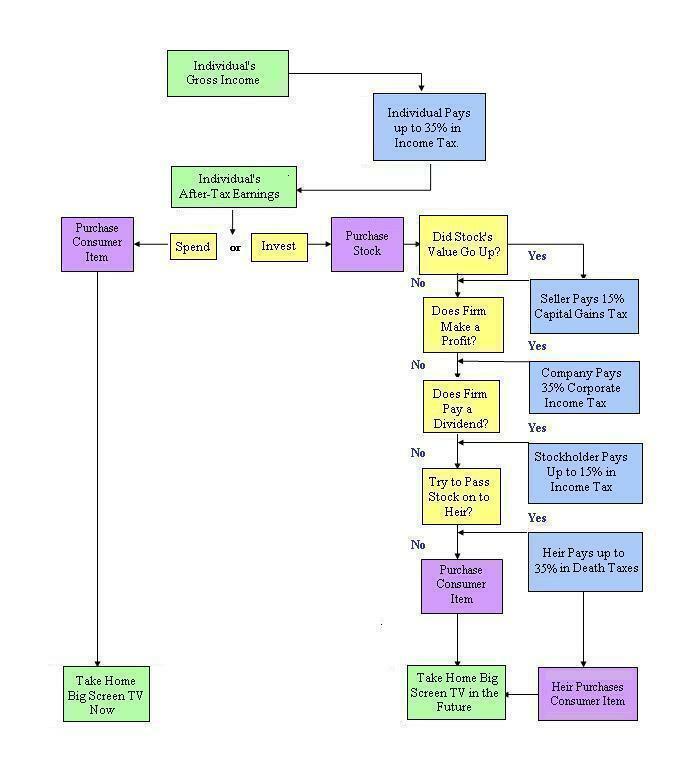 Capital gains taxes and dividend taxes are both forms of double taxation. That income already is hit by the 35 percent corporate income tax. So the real tax rate for people like Mitt Romney is closer to 45 percent. And if you add the death tax to the equation, the effective tax rate begins to approach 60 percent. Here’s a simply analogy. Imagine you make $50,000 per year and your employer withholds $5,000 for personal income tax. How would you feel if the IRS then told you that your income was $45,000 and you had to pay full tax on that amount, and that you weren’t allowed to count the $5,000 withholding when you filled out your 1040 form? You would be outraged, correctly yelling and screaming that you should be allowed to count those withheld tax payments. Welcome to the world of double taxation. By the way, if you like my argument, feel free to vote for my entry, which you can do on this page. I won my previous debate for U.S. News, so I’m hoping the keep a good thing going. As they say in Chicago, vote early and vote often.